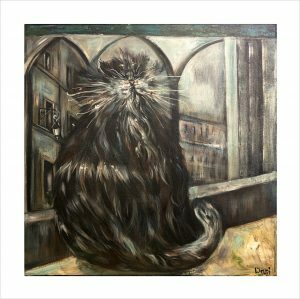 Catcus by Dani Bergson features a soft fluffy grey tabby cat. He sits happily amongst the prickly Cacti. 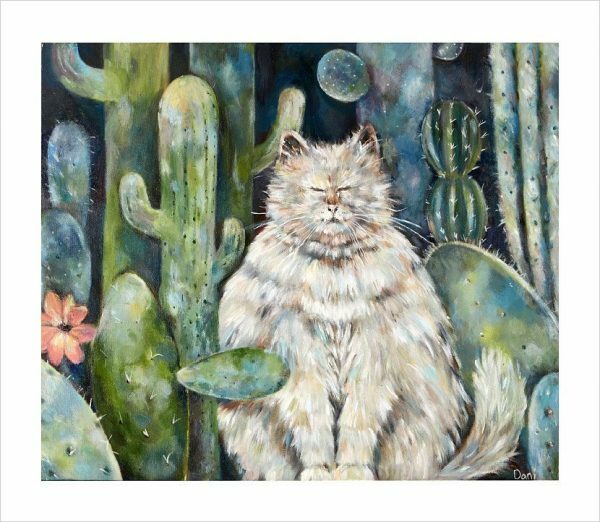 His soft fur contrasts with the spikey cactus leaves making it a visually appealing and striking piece. 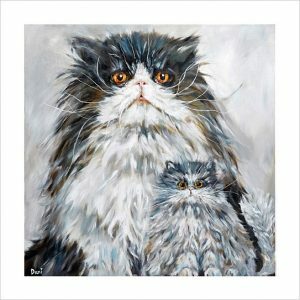 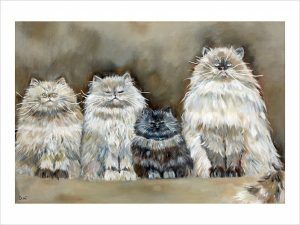 Catcus would be a welcome addition to any cat lovers’ wall.